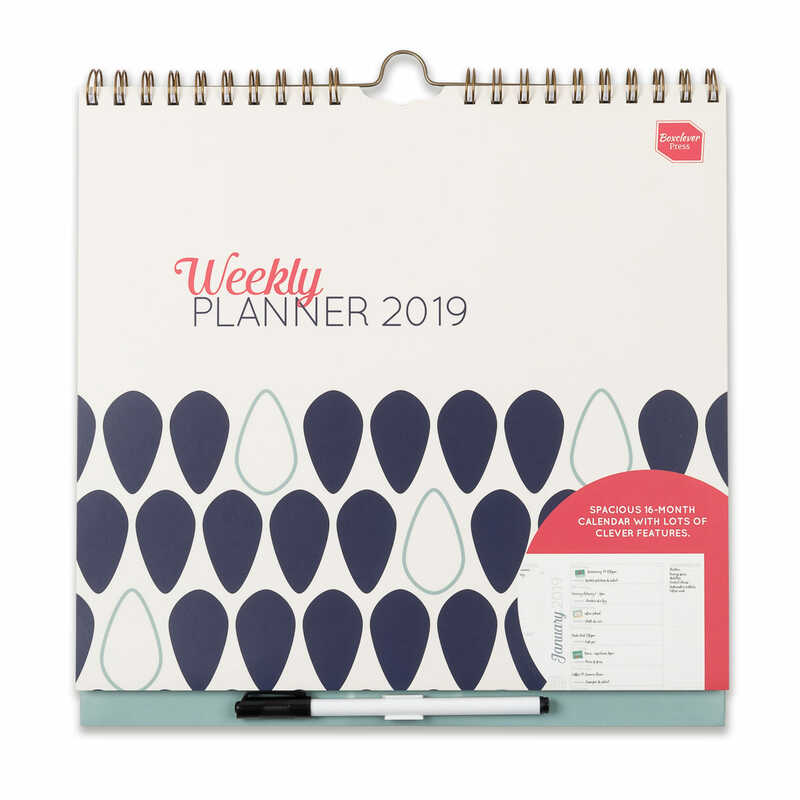 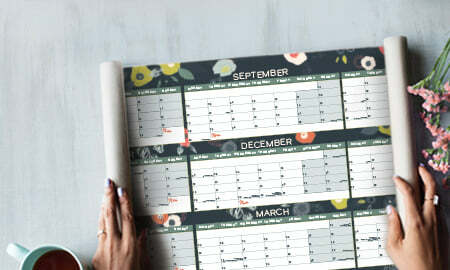 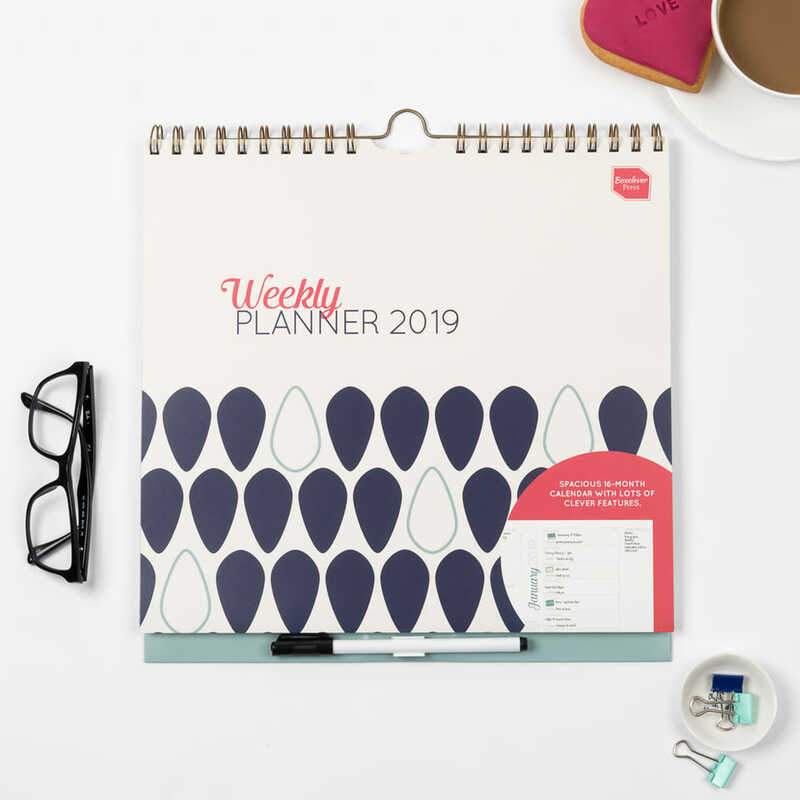 2019 Weekly Planner - a week-to-a-view wall calendar with a traditional layout with large appointment spaces, clever time-saving plastic overlay for writing on regular events plus lots more useful features to help you stay up to speed with busy family life. 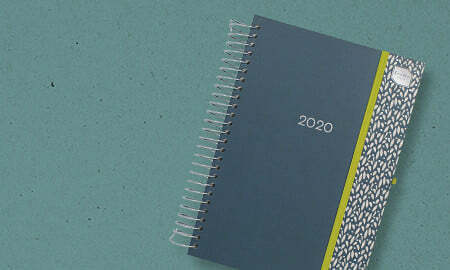 Get organised for 2019 with the popular, spacious 2019 Weekly Planner calendar. 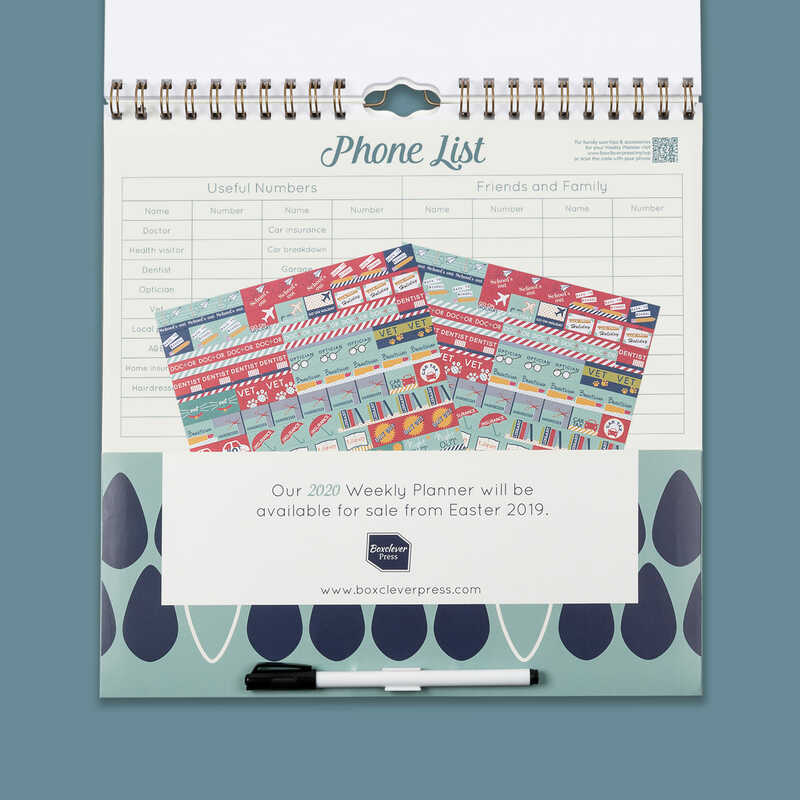 Ready to use straight away until December 2019. 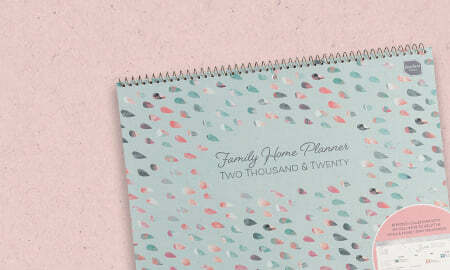 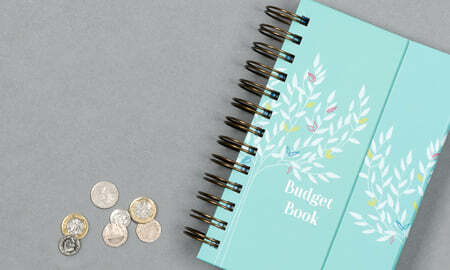 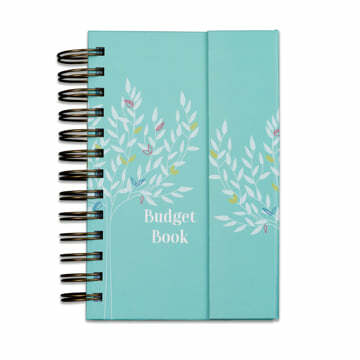 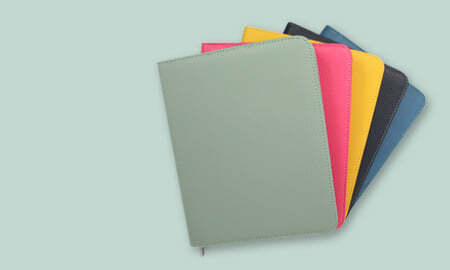 Let the Weekly Planner take the stress out of organising your busy schedule with its helpful planning features. 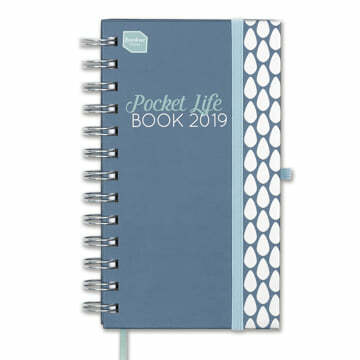 Lots of space to write events and appointments each day and space to note down meal ideas to make meal planning for the week a breeze. 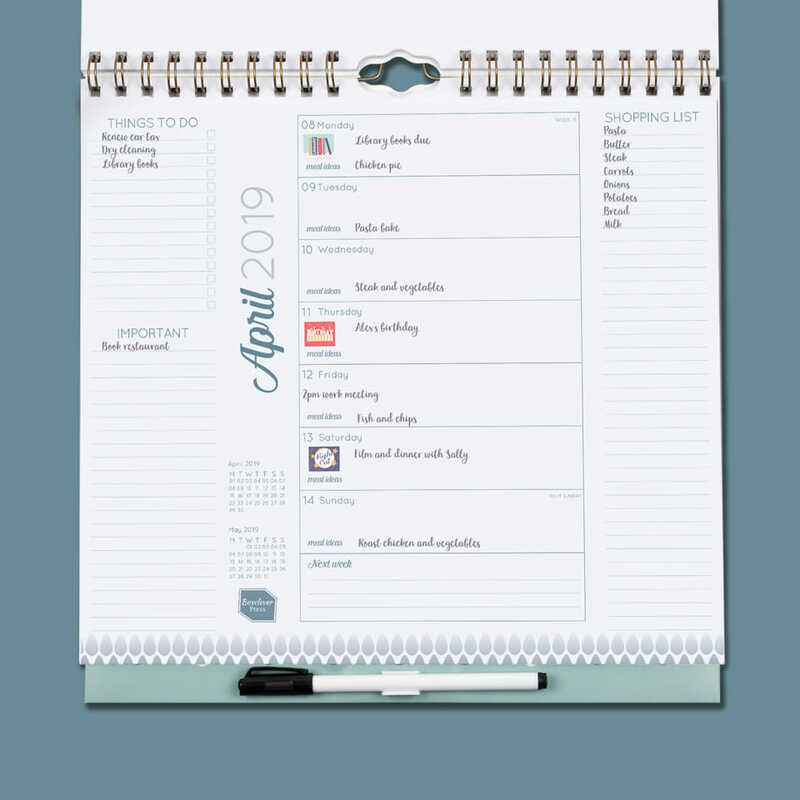 The unique, wipe-clean plastic overlay is a great feature which allows you to write down regular appointments which you can move through the calendar so you don't need to re-write them every week. 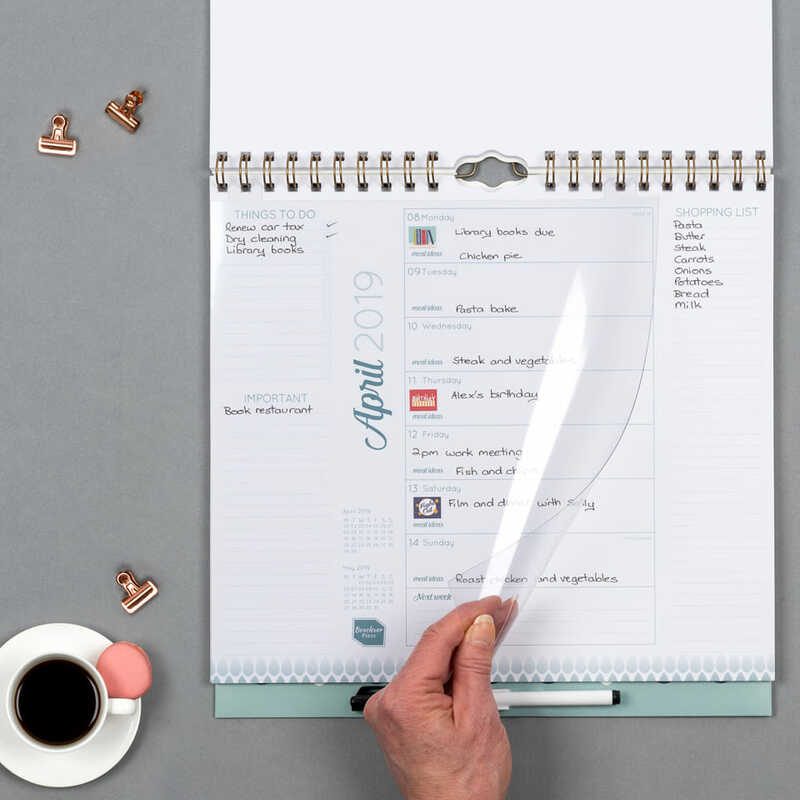 Each weekly spread includes a to-do list, space to write important notes and a perforated shopping list to help you plan-as-you go! 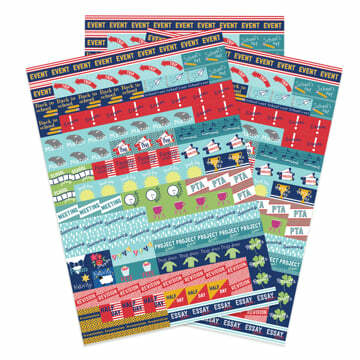 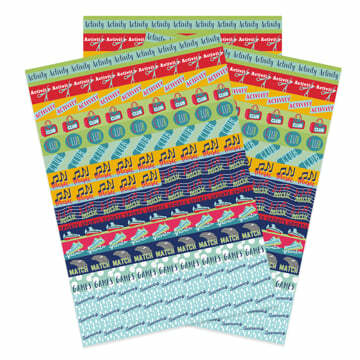 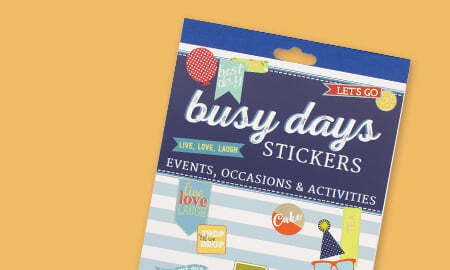 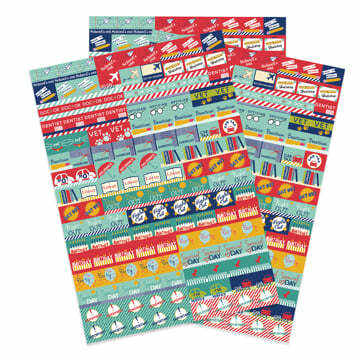 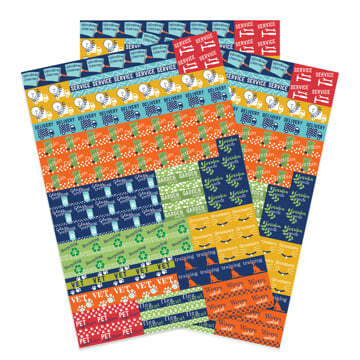 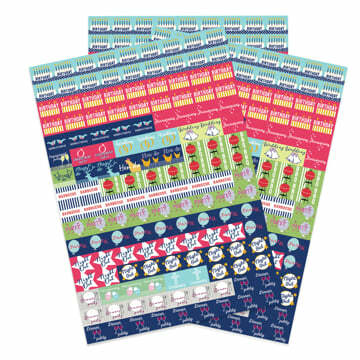 The Weekly Planner comes with colourful reminder stickers which really help to make important events stand out. 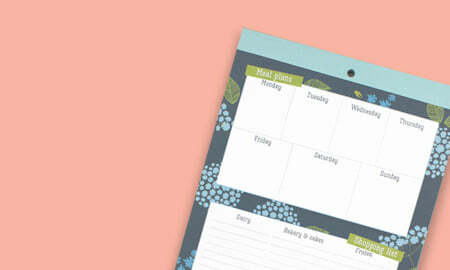 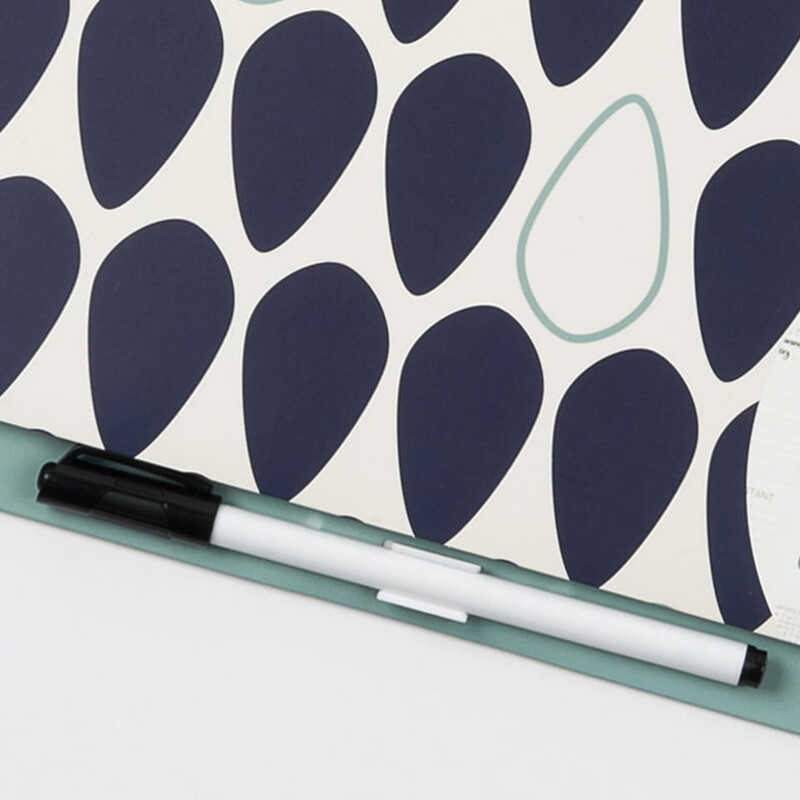 Always have a pen to hand with the clip-on pen that can be used on the calendar paper and plastic overlay. Another thing our customers love is the signature Boxclever Press pocket for storing loose paperwork, coupons, recipe ideas and more, tidily and in one place!